Mobile service market reached US$ 1 trillion in 2012 and is growing. Introduction of small cells and transition to 3G and 4G/LTE have emerged as some of the strategies to address growing demand for bandwidth by mobile operators. A recent Bell Laboratory research study concluded that bandwidth requirements in mobile networks will increase by a factor of 25 by 2016. Inline with this growth, the backhaul network supporting mobile services must also scale or risk introduce bottleneck. Plexstar has developed and is also working on a series of products to address the above mentioned challenges mobile operators are facing as they transition to LTE and small cells. Plexstar backhaul solutions offer flexibility, scalability, and simplified operations helping enhance mobile subscribers experience. As the cost of backhauling traffic continues to rise, the need to drive down costs continues to be the central focus of operators. The conversion to Ethernet-based IP-enabled packet network is inevitable due to the lower cost and higher scalability compared to legacy access solutions. Backhaul traffic can include data, management, control, clock synchronization, OAM and voice. Mobile backhaul consists of legacy SONET/SDH, WDM/DWDM and next-generation Gigabit Ethernet services as 4G infrastructure is deployed by mobile network operators. Plexstar 4G/LTE mobile backhaul solution combines best-in-class Carrier Ethernet and edge-optimized, right-sized packet optical technologies that minimize service latency and support both legacy and the rapid growth of next-generation services. Plexstar’s unified SDH plus 4G LTE solution comprises a hierarchical structure. Plexstar devices are deployed to build the LTE network interconnecting smart devices with the SDH network. 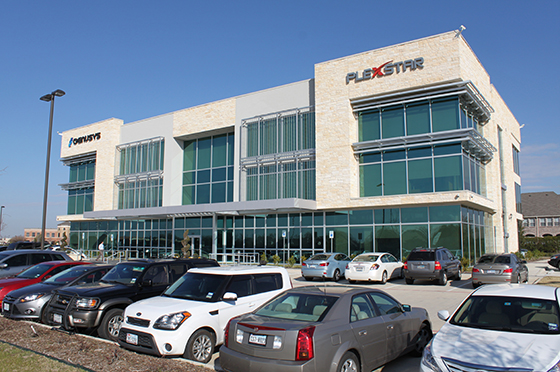 With Plexstar, your organization will leverage your extensive fiber optic network for a reliable and scalable network and connection using simple interfaces that allows for true plug and play compatibility. Plexstar LTESW100: an EPC core switch capable of supporting up to 100 simultaneous smart mobile phones. Capacity of simultaneous calls can be upgraded to 5000 as requirement increases. A smart device user can enjoy bandwidth intensive applications while on the move – whether in a car or on a train. This works due to the network support for handoffs and roaming. It maintains a connection while the user moves across cell borders, essentially handing off the service from one base station to the next. Air4G operates in the 700, 800 MHz, 1.4, 1.8, 2.3-2.7, 3.3-3.8, and 5.15-6.425 GHz bands. Air4G has variants with two transmitters and four receivers as well as variants with four transmitters and four receivers. Air4G has TDD and FDD variants. Plexstar offers a right sized EPC for small and medium LTE network operation and management. It also offers a smooth network connectivity of LTE user equipment and seamless mobility. The EPC is designed to provide an all-IP, flat architecture which provides high throughput and reduced latency. EPCs reduce costs and support real-time media-rich services with enhanced quality of experience while also providing interworking with legacy 2G/3G networks connected via SGSN. The EPC controls all of the components of a 4G network including Macro, Micro and Pico base stations and the user devices they communicate with.